1. SEOs (& All Companies) Need to Make Everything Mobile-Friendly. Right Now. Google made a big announcement in November that they are starting to consider mobile rankings as more relevant than desktop rankings. Google says that the majority of their searches now come from mobile so they need to make sure their algorithm mirrors the trend. From Google’s recent blog post: “To make our results more useful, we’ve begun experiments to make our index mobile-first. Although our search index will continue to be a single index of websites and apps, our algorithms will eventually primarily use the mobile version of a site’s content to rank pages from that site, to understand structured data, and to show snippets from those pages in our results.” This means that non-mobile friendly sites are going to start being penalized in search engine results. This also means that if your site is not mobile-friendly, it’s time to call your local Search Engine Optimizer because your number one priority in 2017 is to make your site speedy and mobile-friendly. You can check how mobile-friendly your site is here: testmysite.thinkwithgoogle.com and they will even send you a detailed report on how to fix any mobile compatibility issues you may have. Holy overload of information, Batman! As we become more and more like the characters tied to their tech in the creepy yet mesmerizing Netflix series Black Mirror, we continue to post more (as do publishers and businesses) and in return, we have way more to filter through in our newsfeeds. Facebook changed its algorithm this summer to reduce the amount of publisher content that shows up in news feeds so we can see our “friends” stories more often and is currently taking aim at fake news on their streams. Even so, our attention spans keep getting shorter and we need to be bolder and more concise to stand out in an ever-growing ocean of white noise. In response, marketers should realize that dense content is necessary, making every line and every word count. Do you want to know what’s happening IRL, right now? Facebook has been pushing their live technology for months with some success, including the first Presidential debate of the season, and since most people have faster Internet and crave in-the-moment content, more and more apps and platforms will also push “live streaming”. Facebook also just announced this week that Two-Person Broadcasting is also coming to Facebook Live. The updated version, which will go live later this summer starting with verified Pages, will now allow for two people in different locations to share a live broadcast. Live been on the upward tick for a couple of years and it will only continue to be utilized in 2017. Will you be live? Not only do you need to consider going “live”, you should also up your video advertising game. As we get used to more and more live videos in our Facebook feed and Instagram Stories this year, video advertising is expected to amass $13.5 billion in revenue in 2017 – almost double its projected revenue from 2016. 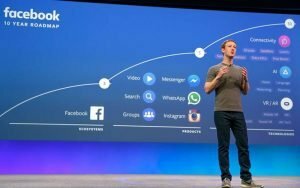 If you’re not ready to fully immerse yourself in video advertising, at least make an effort to learn how to use some of Facebook’s video features in the new year. It’s a tool that can help massively increase your social media reach and is well worth the investment. Google also just made Video campaign management easier with AdWords Scripts. They announced on Tuesday that they’re rolling out AdWords scripts support for TrueView and six-second bumper ad which means you’ll be able to programmatically create and manage video ad groups, targeting and other campaign features alongside your Search, Display and Shopping campaigns. The new script support is available for standard YouTube ad campaign types like TrueView in-stream, TrueView discovery and bumper ads – and they’re hoping to eventually expand functionality to additional campaign types like shopping. Check out The Latest YouTube Stats on When, Where, and What People Watch from Think with Google. 5. All Google Ads Will Soon Be Expanded Text Ads. 6. Bonus Prediction: The Tech Bubble will Pop Again (We Predict 2018). 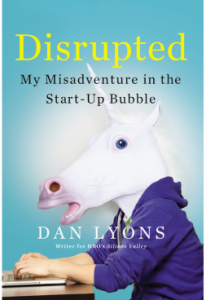 Our founder Ted Kozlowski started his career in Silicon Valley and if you’ve ever wondered how insane the start-up industry is, check out this great new book, Disrupted: My Misadventure in the Start-Up Bubble, by Dan Lyons, who’s a writer for HBO’s Silicon Valley and who is brutally honest about his time at Hubspot (marketing automation software startup) as a “beached white whale” in an overly upbeat, frat/cult-like work environment.